ONE OF the best things about Savannah is how much art exists here. Whether you’re looking to SCAD for exposure to internationally renowned contemporary artists, to the Telfair for academically-celebrated classics or to the Starland district for local flavor, your tastes are sure to be satiated. 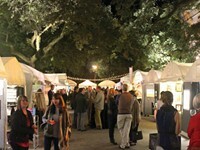 Here are some tips to help you immerse yourself in all the visual art Savannah has to offer. Before you even step outside your door, you can get a look at what’s going on about town thanks to the wonders of social media. Check the hashtag #art912 to start. Initially created by Telfair Museums, the city’s artists and arts advocacy organizations quickly latched on and started contributing content under the #art912 moniker. Now, there’s a veritable library of images on Instagram to help you get oriented in terms of the types of work being created in artist’s studios and the arts-focused events on the horizon. Discovering Savannah’s art offerings online is great, but you owe it to yourself to see them in person too. Luckily, a handy framework for stepping outside your comfort zone exists in the First Friday Art March. On the first Friday of every month from 6–9pm, the Starland District opens itself up as a playground for locals and tourists alike who want an up-close and personal taste of the arts. The Art March functions as a self-guided tour of the district’s art galleries and local businesses, paving a neat route for you through the night’s opening receptions, pop-up shows, musical performances and more. 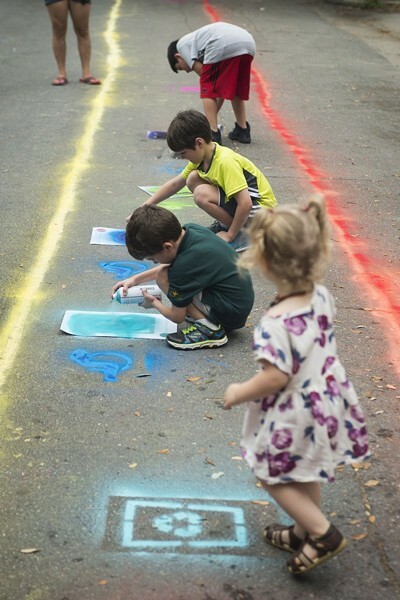 The First Friday Art Marches are a great and fun way to get involved. Of course, you don’t have to wait for an Art March night to get out and see what’s happening in the galleries around town. 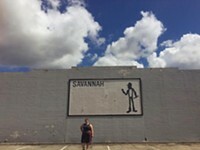 Pick up ARC Savannah’s ART MAP SAV at pretty much any gallery in town and plan your own route for the day. The map includes over one hundred galleries and art spaces across downtown, midtown and the islands. Exploring the art scene is always more fun if you have someone to do it with. If you’re an artist or art enthusiast, one place to meet like-minded folks is at the Savannah Artist Collective (13 E. 39th Street). The Collective meets on a regular basis to hold life drawing sessions, panel discussions on issues like “How to Host a Studio Visit”, skill-share workshops and more. It’s one of the few informal, open spaces in town for artists to come together, share art and information and form collaborative relationships. Sulfur Studios also occasionally offers workshops, the City of Savannah’s Cultural Arts Department holds great classes for those interested in learning crafts like metalworking, and (for those who go for the super informal) Abe’s on Lincoln hosts a regular “Drink ‘n Draw” night for artists of all levels to meet and doodle together. Whether you’re lending a hand at the Art March or getting behind-the-scenes access at a world-class textile symposium, local arts advocacy organizations always have spots available for interested volunteers. Look into docenting at one of Telfair Museums’ remarkable spaces, hosting one of ARC Savannah’s Artist Socials, or just offer to help get the word out about an event you’re excited for. Volunteering and making connections with those who are in the know is the best way to invest in the local art scene. When people invest, they’re less likely to leave and that’s what Savannah needs: fewer engaged citizens leaving for (what they perceive to be) greener pastures. If you want to get involved in the art scene here, you deserve two different kinds of “thank you”s: one for giving a damn and another for contributing to the city’s cultural growth rather than its decay. It’s tough out here in Georgia for artists and arts organizations. Funding for the arts in our state amounts to about 9 cents per resident, compared to South Carolina’s 63 cents per resident and Alabama’s 82 cents. Economies suffer when the arts are allowed to atrophy so keep giving a damn, Savannah. Keep coming out, keep volunteering, stay involved. The Roving Listeners are coming!